This is the first carving that I am offering by the previously unknown (to me) folk artist C. Arturo, from North Bay, Ontario. 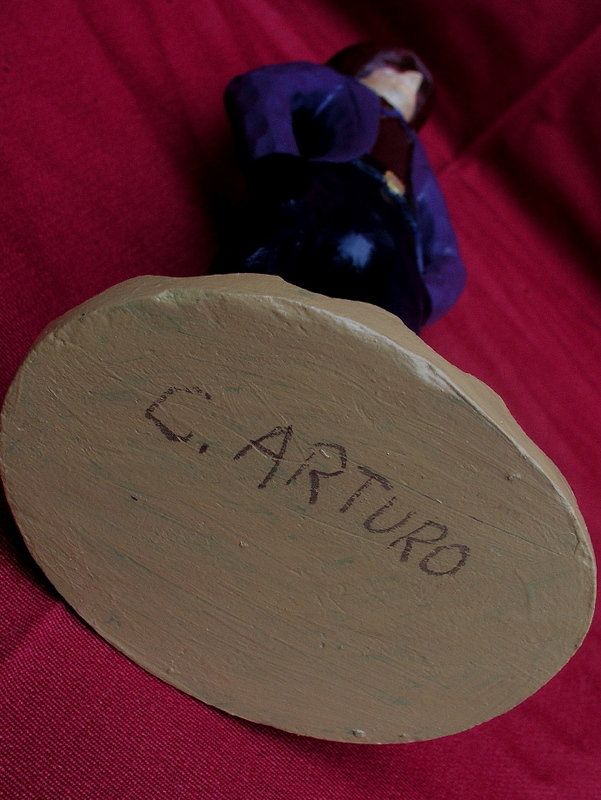 A buddy of mine who picks up there bought about 30 carvings by the recently deceased Mr. Arturo from a family member. He contacted me and I bought them all based on the quality and character of the work. I think they're great. I am endeavoring to get the history of Mr. Arturo, but all I know to date is that he was of Italian descent, and had worked most of his life as a local trim carpenter. I'm certain that we will soon learn more. Undated but presumably reasonably contemporary. Signed on the bottom. 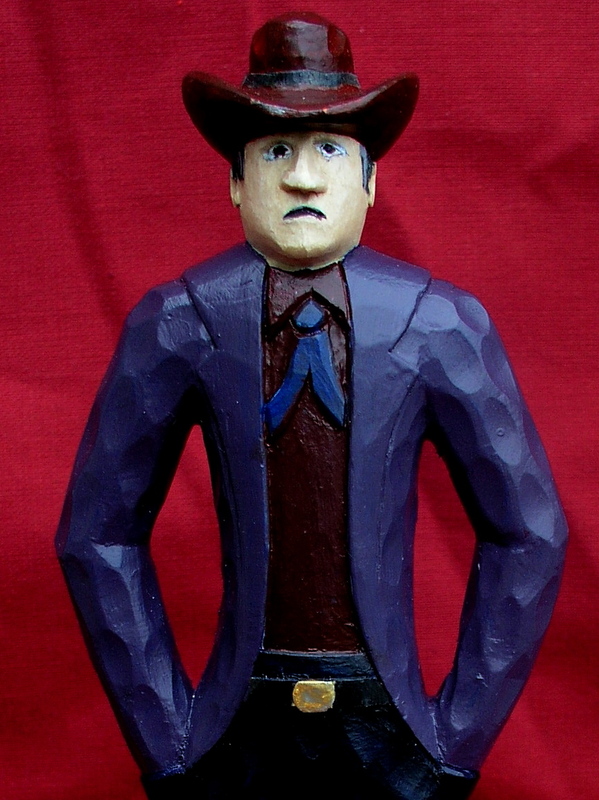 This cowboy is on a 4" x 5" base and is 13" tall.